In bold, high definition, if you slowed the frame down enough, you could see the spray of spittle flying across the broadcast table at his fellow co-hosts on-the-air. Bob Beckel, a prominent democrat consultant, and co-host of The Five on Fox News was turning beat red. "Who cares?" He offered as his bottom line as to whether the White House covered up Benghazi or not. 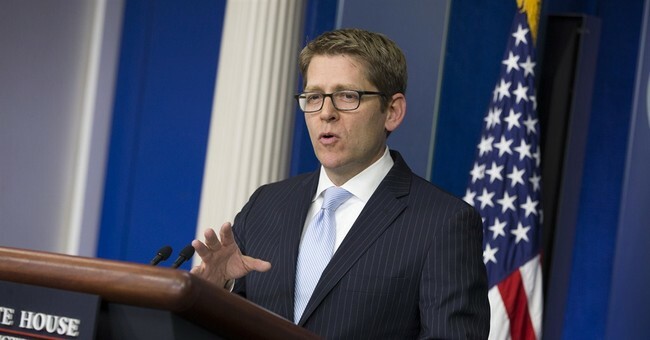 White House Press Secretary, Jay Carney, earlier that day got quite smarmy and dismissive when he claimed the incidents of 9.11.12 (to which he labeled current interest in as a "conspiracy theory") "happened a long time ago." Adam Schiff, a democratic Congressman, called the effort to set up a select committee to look into the matter, "a colossal waste of time." Nancy Pelosi, the democratic leader in the House, referred to the emails that did establish a White House cover-up as, "Diversion, subterfufge, Benghazi, Benghazi, Benghazi. Why aren't we talking about something else?" What is clear, as demonstrated above, is that from the White House, to congressional leaders, to the pundit chattering class--democrats have circled the wagons. They do so to attempt to force the other political party, the media, and the American people themselves to move on, and put any further inquiry into the matter out of consideration. They also make a massive implication in doing so. On Friday I found that posture and premise to be rather astounding. I did so for many reasons, but one reason in particular haunted me on this Mother's Day weekend--Pat Smith, mother of Sean Smith who was slain in the terrorist attack. She has reiterated repeatedly that the White House has promised answers to her questions. But the closest she has come to any were Dr. Susan Rice lying to the American people on five news shows the Sunday morning following the attack, and that same repeated lie at the casket arrival ceremony as told to her personally by the President, Secretary of State Hillary Clinton, and Vice President Joe Biden. So after Congressman Trey Gowdy was appointed prosecutor of the select committee, and the congressional Democrats were still huddling to figure out whether they should join the select committee or boycott it, I decided to do something. I asked listeners on Friday to identify as to whether they had voted for President Obama in either or both of the last two election cycles, and if they had, I asked them their choice and beliefs about whether democrats should join the select committee. I instructed my screener to push those calls on my screen ahead of those who identified as "GOP" or "unaffiliated" from the past two cycles. When I put them on the air many of them voluntarily disclosed that they had been life long registered Democratic voters. One of them said she truly thought of herself as an "unaffiliated" voter but had indeed voted for President Obama in both elections. Roughly 60-65% of those we spoke with were African American. Only one of the callers that we attempted to put on the air was unable to give his opinion because of a glitch in the phone system that wiped out our entire inbound calls with only seconds to go in the show. I had possibly expected fifty percent or more of the callers to side with the Democratic talking heads, circling the wagons, and yelling about how irrelevant this all was. If it was even twenty to thirty percent of the callers I could have believed it. But I was not prepared for the final tally. At the end of the broadcast, there had not been a single Obama voter, that called our show, that claimed this was a phony witch-hunt. None of them claimed it is a committee that should be viewed as a political stunt in an election year. All of them believed the Democrats should participate in the committee, take that participation seriously, and do no less than pursue aggressively whatever the evidence revealed. Many of them also believed that the families--like mother Pat Smith--still had unanswered questions, and as many of them self-identified, and voluntarily revealed that they were either current service or former military, they strongly felt that those questions deserved to be answered. Not a single Obama voter believed the committee to be anything other than necessary. Which runs 100% counter to everything Beckel, Pelosi, Schiff, and Carney would have you believe. As so it should be amongst genuine, hard woking Americans of all political stripes. Especially for the families of those four men, the questions they have unanswered should be given response. We should want to be able to know, that we will never again have a President disappear, when his men hear the guns going off and ask him if they can run to the battle to rescue those who are in danger, only to never have that answer come.